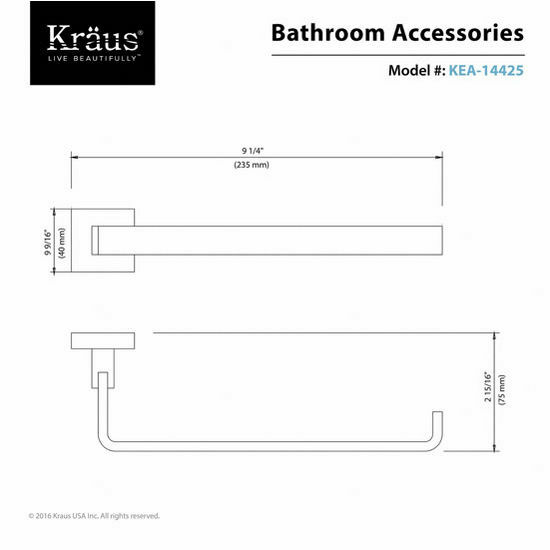 Free S/H on Kraus orders over $99! 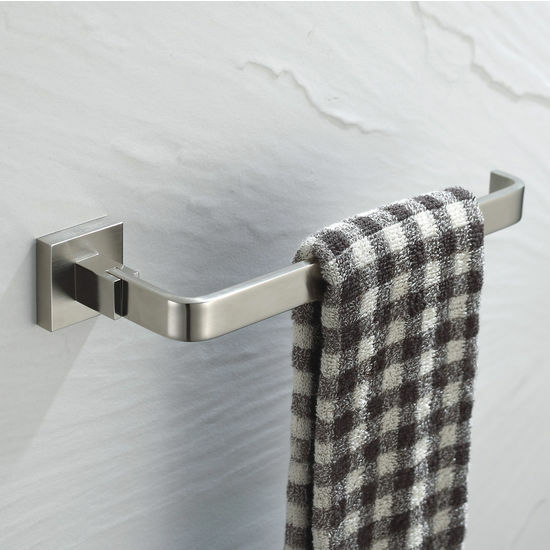 A distinctively designed and well-crafted set of matching accessories will contribute to the overall balance of the bathroom decor. 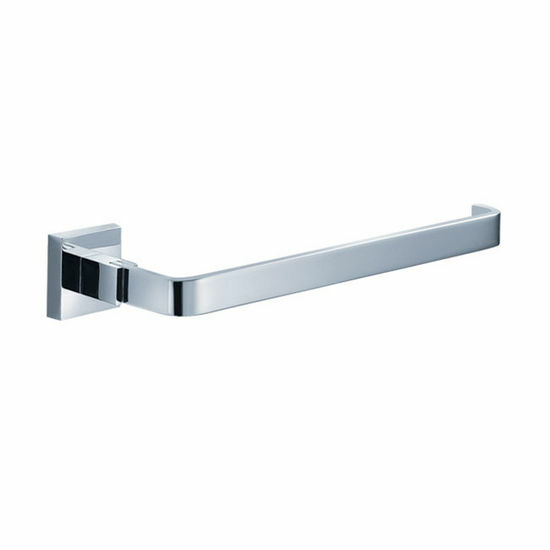 The stylish Aura Towel Ring by Kraus adds a touch of elegance to your bathroom. You can, in fact, reverse the handing as follows: 1) loosen the set screw and remove the mounting plate. 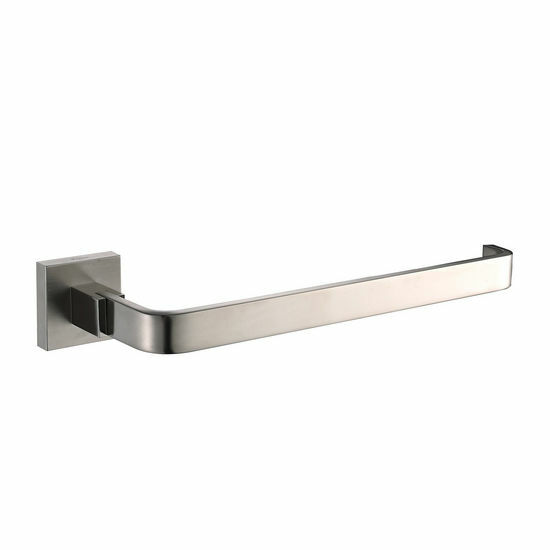 2) remove the 2 Phillips-head screws that mount the arm to the wall escutcheon. 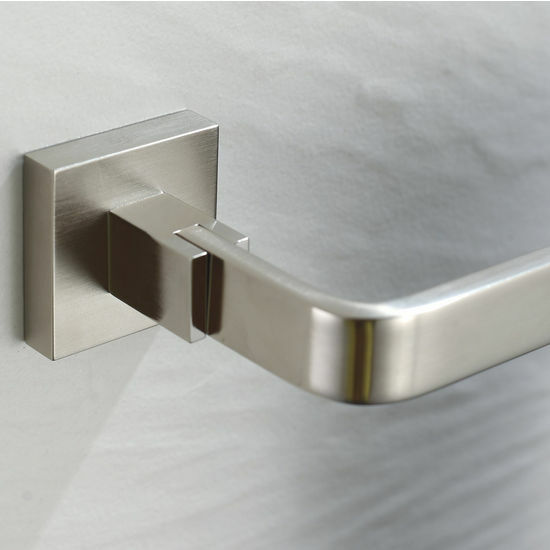 3) rotate the wall escutcheon 180 degrees and re-install the screws tightly. 4) install as per usual. This way, the set screw can be kept on the bottom (and logo up) with the handing reversed.